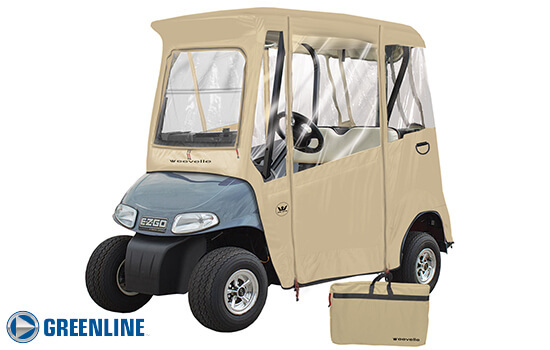 Outdoor Cover Warehouse Covers offers a wide range of drivable golf cart enclosures designed to fit a variety of carts. 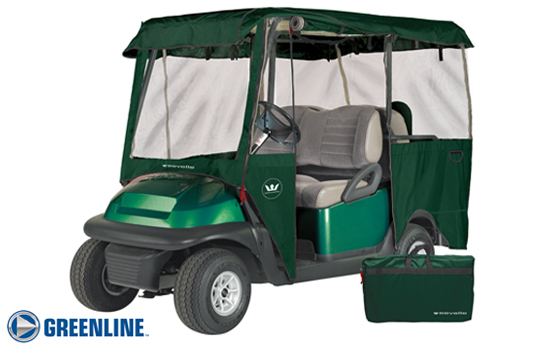 Drivable cart enclosures protect you from the elements, allowing for continued play in virtually any weather condition. 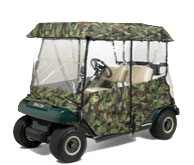 We have the right enclosure for your golf cart so you can keep playing in wind or rain. It's also great for beating that early morning chill! Order your enclosure today to extend your season and play in comfort. 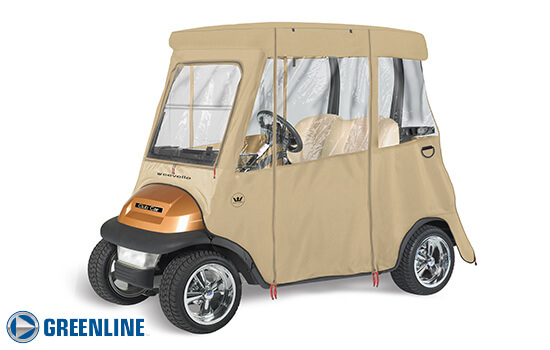 A Drivable Golf Cart Enclosure is a must-have item for any avid golfer. An enclosed cart allows you to play in comfort no matter what the weather conditions, protecting you from sun, wind, rain and cold. Get all you can out of your golf membership by playing more in the comfort of an enclosed cart. 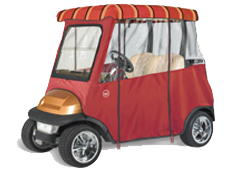 We know golf cart covers with over 20 years of Golf Cart cover and enclosure sales and manufacturing experience. We only carry quality products that have a proven track record and are backed by the best warranties. Our success is built upon selling great products that are supported by our knowledgeable and friendly staff. Please call us if you need help selecting the proper storage cover for your cart or have questions about the fit of an enclosure. We are always happy to help! Our cart enclosures are built to demanding quality specifications. You can always rest assure that our cart enclosurs will protect your investment from the harshest elements nature can dish out. Every enclosure is designed and manufactured to perform season after season, protecting your golf cart from harsh UV rays, rain, snow or ice. Innovative features, quality fabrics and best fit are all found in every one of our products. 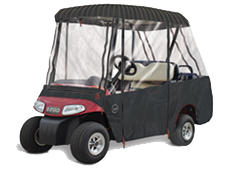 We always have the right cover or enclosure for you if you have an EZ-GO, Club Car, Yamaha, Western or any another cart brands. Built to out-perform every other cover on the market in all critical categories of cart protection. Tru-Weave fabric always ensures expert tailoring, quality craftsmanship and durability you can trust to protect your investment. 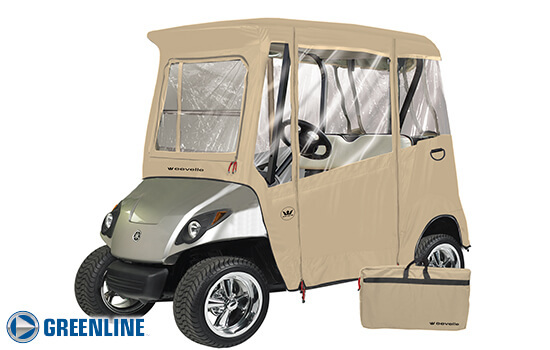 Greenline protects your golf cart from the harshest elements nature can dish out. 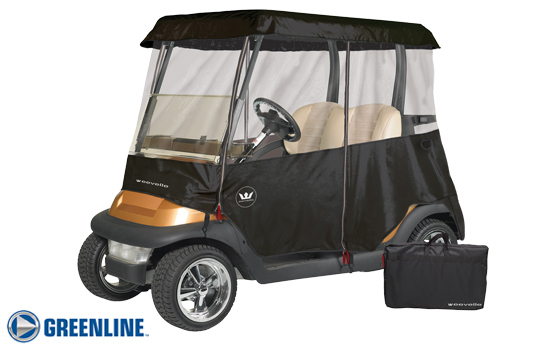 Innovative features, quality fabrics and a snug fit make it truly the best value protective cover for your golf cart. Need the perfect gift for the golfer in your life? We also carry a full line of accessories for golf carts. 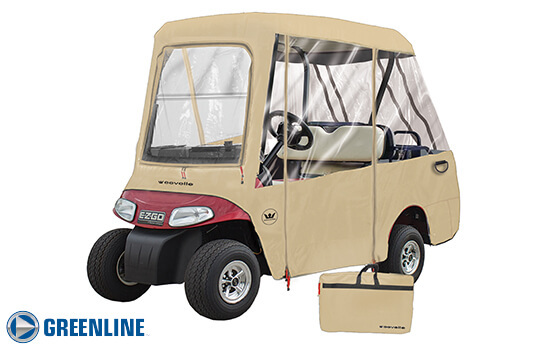 The WeatherShield Golf Cart Windshield is one of our best-selling items. Also browse our DryDrop products. These are great items that fit in your golf bag to be used at any time for a rental cart or your own.